MICHELE watch heads and straps are sold separately. Easily interchangeable with any 20mm MICHELE watch head. 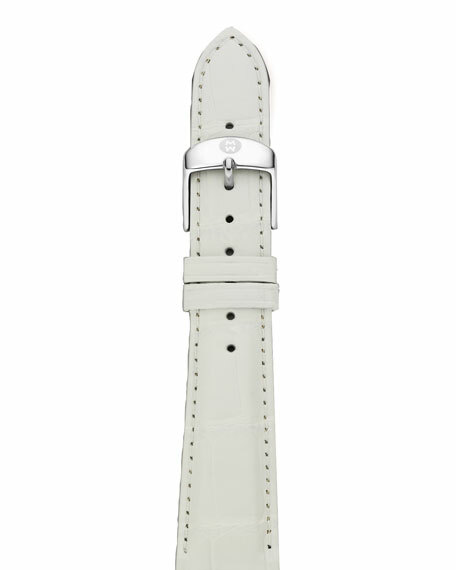 The stainless steel buckle has signature logo engraving. Eight-hole size adjustment; two loops keep ends in place. 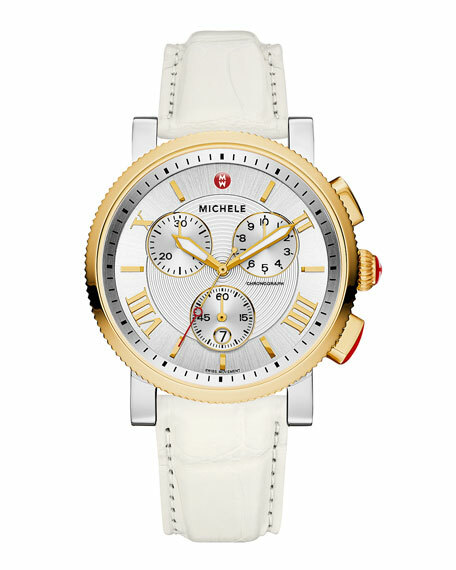 Find dimensions of the watch heads and straps from all the Michele collections here. Inspired by extraordinary women around the world, MICHELE watches bring a touch of luxury to every day. Showcasing brilliant handset diamond cases, Swiss movements and mother-of-pearl dials, the MICHELE design philosophy blends timeless elegance with contemporary fashion for a combination of classic and feminine style. Renowned for interchangeable straps, MICHELE features materials sourced from around the world, including fine alligator and exotic skins as well as premium calfskin leathers. MICHELE empowers each woman to make an accessory that is distinctly her own.